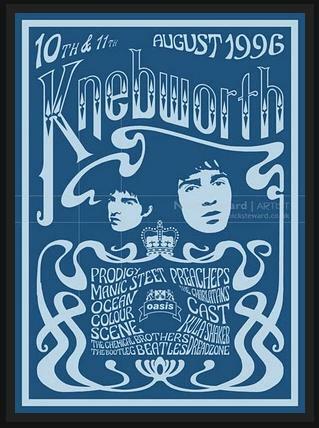 KNEBWORTH - 15 years ago, 10+11 August 1996-2011. These are the nights of the falling stars... Noel is definitely falling. Some say Oasis ended that night (and Alan: Oasis should have ended that night). I still have a tape by me recording it, the legendary gigs with 250,000 people. The "this is history!! right here right now! good evening planet Earth". Noel Gallagher has admitted again that he likes Beady Eye's track The Roller. Despite saying he hadn't heard the album and complaining it got better reviews than Oasis' releases, Noel said "they're cool guys and I wish them all the luck in the world."